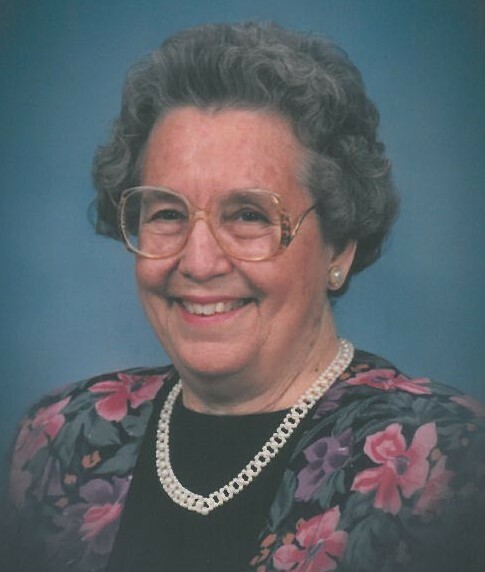 Hazel Reed, 99, died October 2, 2018 at Benton House of Tiffany Springs ALF. She was born January 25, 1919 in East Leavenworth, MO to Elijah and Annie (Adams) Laster. She married James Franklin Reed on July 30, 1935 in Platte City, MO, and was a lifelong resident of the Weston area. She stayed at home to raise her family while James proudly served in WWII. Hazel was a member of the First Baptist Church of Weston for over 60 years, where she was a member of the Sew-N-Sews group. She was an avid reader, enjoyed travelling, and took pride in gardening and maintaining her lawn. She loved spending time with her family, as well as her Thursday breakfast group that met at the Weston Café. She was preceded in death by: her parents; husband; son James R. Reed; and 3 sisters. Hazel is survived by: her daughter Helen (JP) Coldren of Platte City, MO; daughter-in-law Sissy Reed of Blue Springs, MO; grandchildren John F. Coldren of Chula Vista, CA, Shelley (Gary) Oberdiek of Platte City, MO, Pam (Randy) Oberdiek of Platte City, MO, and Sharra (Gary) Haynes of Tucson, AZ; 6 great grandchildren; and 2 great great grandchildren. A visitation will be held Friday, October 5, 2018 from 1:30 pm to 2:30 pm, followed by a 2:30 pm funeral service at Vaughn Funeral Home in Weston, MO. Burial immediately following at Graceland Cemetery, Weston, MO. In lieu of flowers, memorial contributions may be made to the Kansas City Hospice Foundation: Suite 200, 1500 Meadow Lake Parkway, Kansas City, MO 64114 or the First Baptist Church of Weston: 160 Walnut St., Weston, MO 64098. 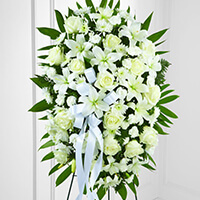 To send flowers to the family of Hazel Marie Reed (Laster), please visit our Heartfelt Sympathies Store. I am truly sorry that we could not be here today. You are in our thoughts and prayers.